As you can see (above) you’ll get a list of all processes running on your computer. You’ll be able to scroll through the list and see every process that is running on your computer. 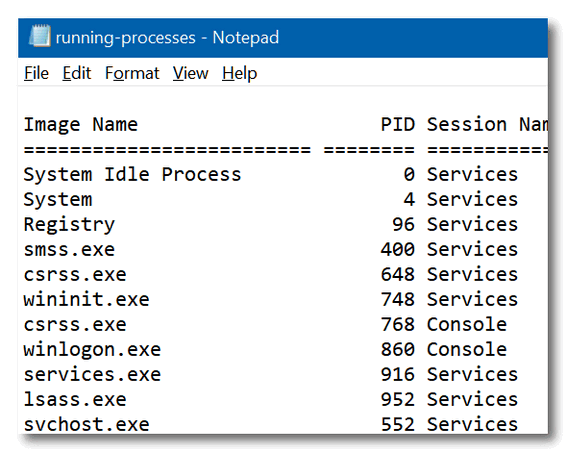 If you want to print a list of processes, it gets a little more complicated. Sometimes, if a program has frozen or stopped responding, you won’t be able to close it. 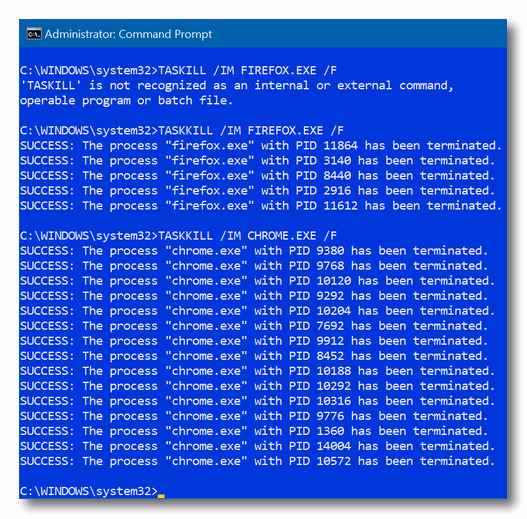 You can try using Task Manager and right-clicking on the program process and then trying to “End task”. 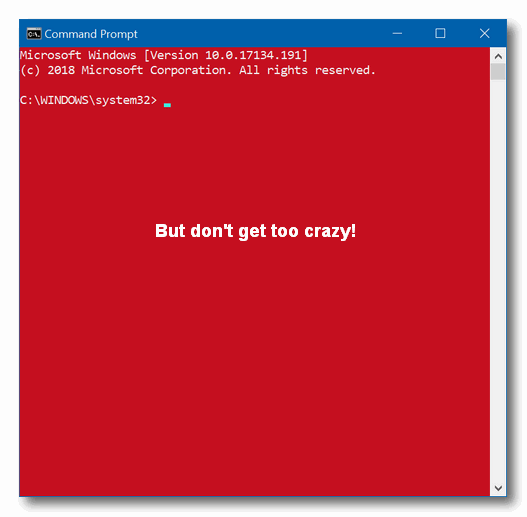 But if that fails or you just want a quick way to kill a program or process, try this. 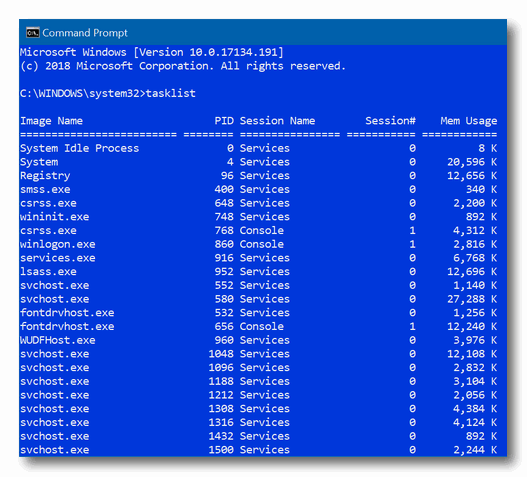 You can get the programs file name (exe) from Task Manager / Processes. Note: These commands are not case sensitive… you can use lowercase or uppercase, it doesn’t matter. The /F at the end means “Force” as in force the process to close. 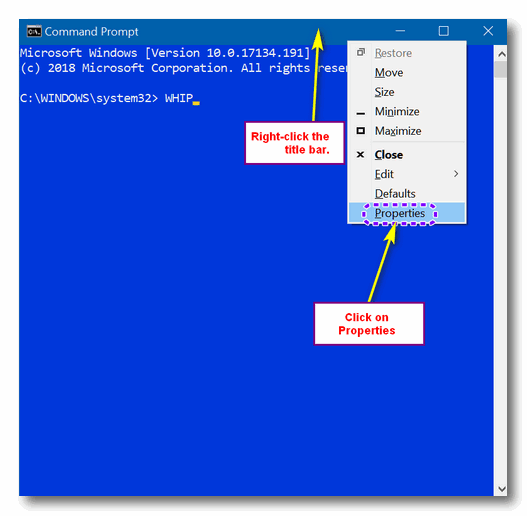 Open a command prompt and right-click on its title bar (as shown below), then select “Properties”. Next. 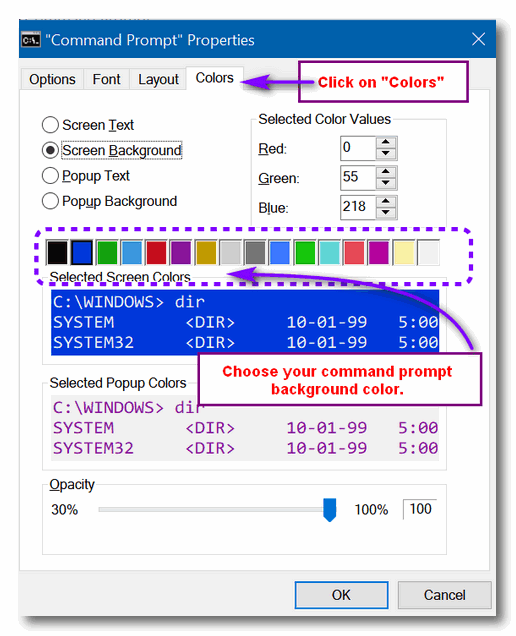 in “Command Prompt Properties” click on the “Colors” tab at the top. In the middle of the Properties dialog in the “Selected Screen Colors” section, click on the background color you want to use and click “OK”. See? But don’t get crazy with this!